What you need is an answer. 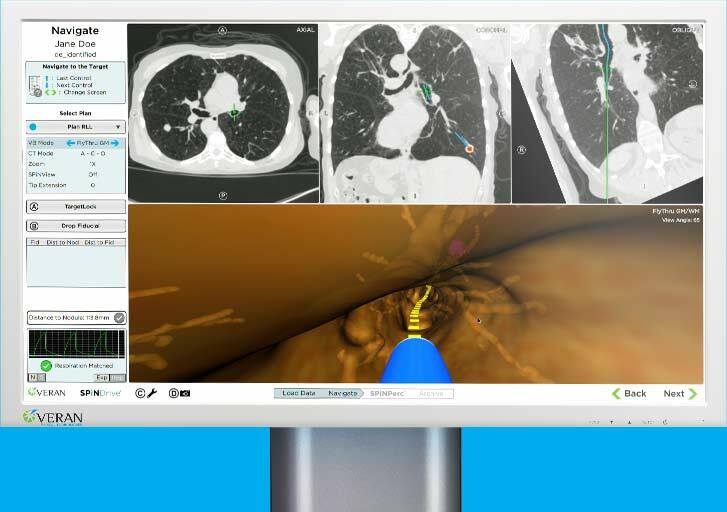 Take control with the SPiN Thoracic Navigation System™— a revolutionary platform that puts you in control of bronchoscopic yields to help speed time to diagnosis and give you the answers you need. See how the SPiN System™ works by watching more procedure overview videos. Dr. Andrew Lerner, Johns Hopkins University School of Medicine, diagnoses pulmonary adenocarcinoma in the right lower lobe with a single procedure.